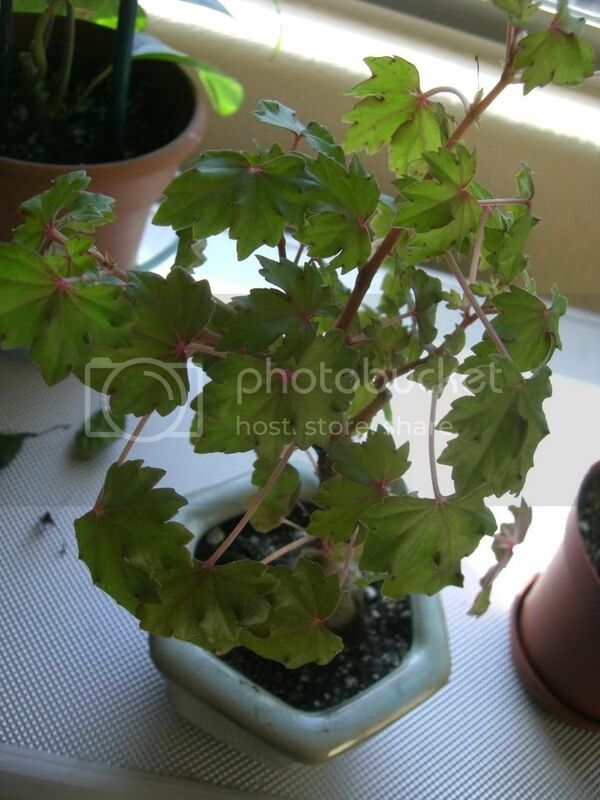 Hello, I have just recently recieved as a gift 3 different plants from a friend, Among them is a begonia richardsiana bonsai. I have never grown any plants before let alone a bonsai and so I desperatley need your help so that my black thumb doesn't kill it. I've had it for about a week and when I recieved it, it looked wilted and the bottom rung of leaves had white dots on the tops of them that looked like frost but wasn't. 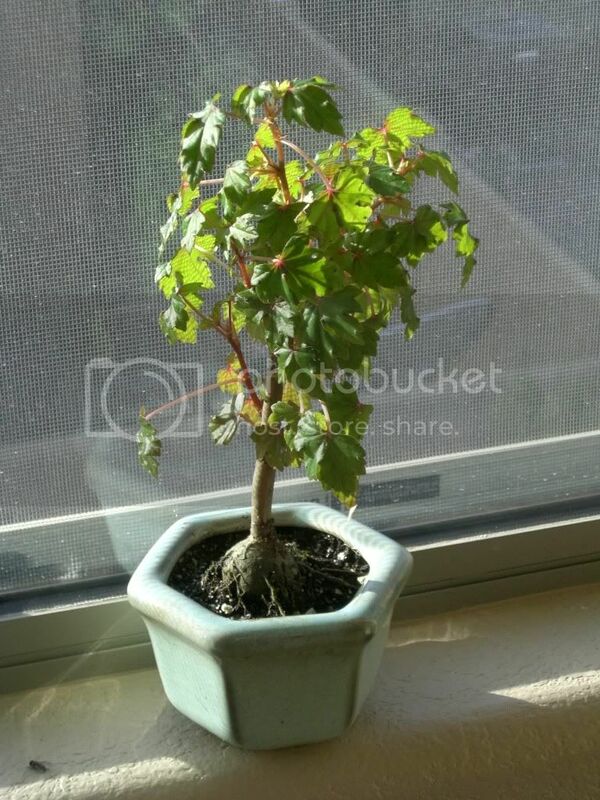 I asked the friend who sent me these plants and she said she had never had a bonsai before, but if it was anything like the Plants she has grown then I should remove the affected leaves. I did so and I am hoping my decision wasn't wrong. After recieving these flowers I went to a health food store that sells a pure, highly-oxygenated water that was recommened to me to grow strong healty plants and I put it on a southern-facing windowsill. 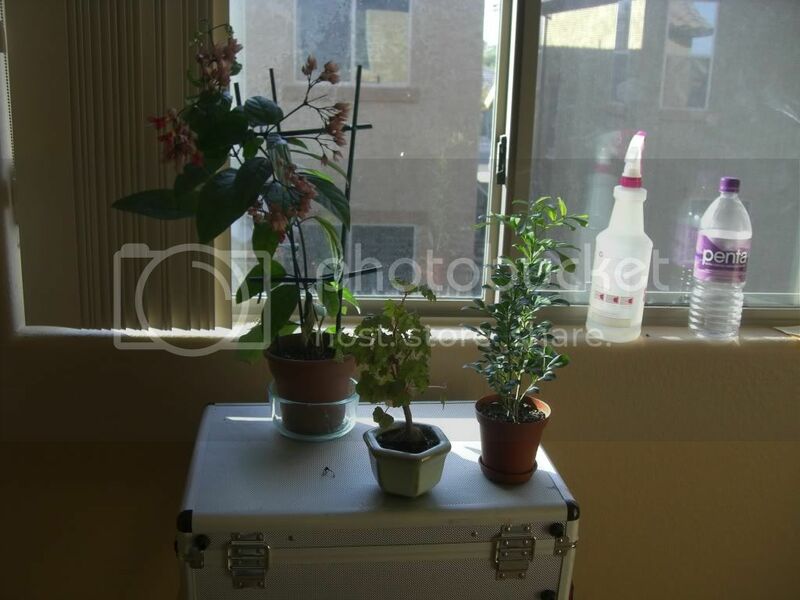 Obviously Arizona has very LOW humidity so I have been spraying the plant with a spray bottle daily to try and simulate that. I am also worried that the pot might be getting too cold, when I get up in the morning to check it, the clay pot it's in is freezing to the touch though the air in the room is about 67 degrees. So, don't laugh , I'm considering crocheting a sleeve to put around the pot at night to keep it from getting too cold. The plants came with come care guides but they were kinda vague and confusing. So that what I've done so far and it SEEMS to be doing OK but I can't be sure. Any adivce would be much appreciated. Also I've heard that bonsai's have to be trimmed and trained into the shape you want. How in the world do I do that and when should i start? 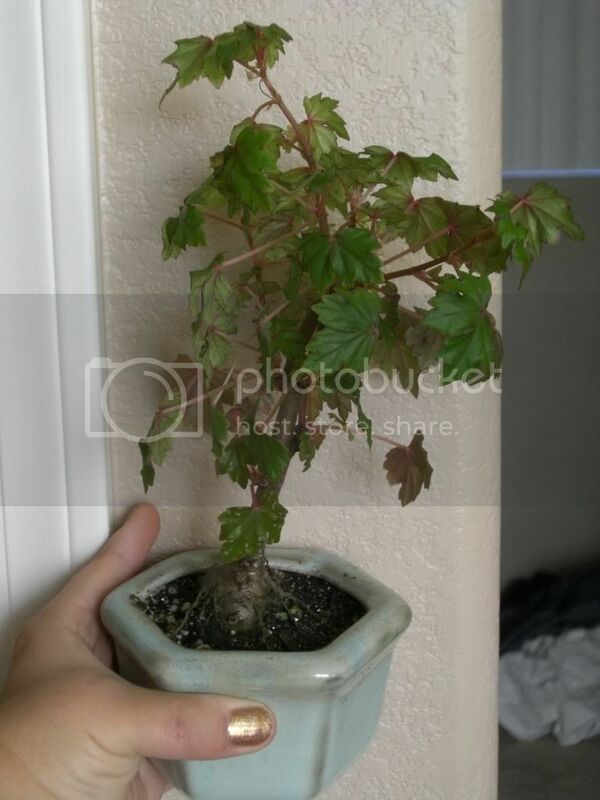 I found this quote from an online retailer "Originating in South Africa, begonia Ã¢â‚¬ËœRichardsiana'sÃ¢â‚¬â„¢ tolerance to dryness of both soil and air is legendary." 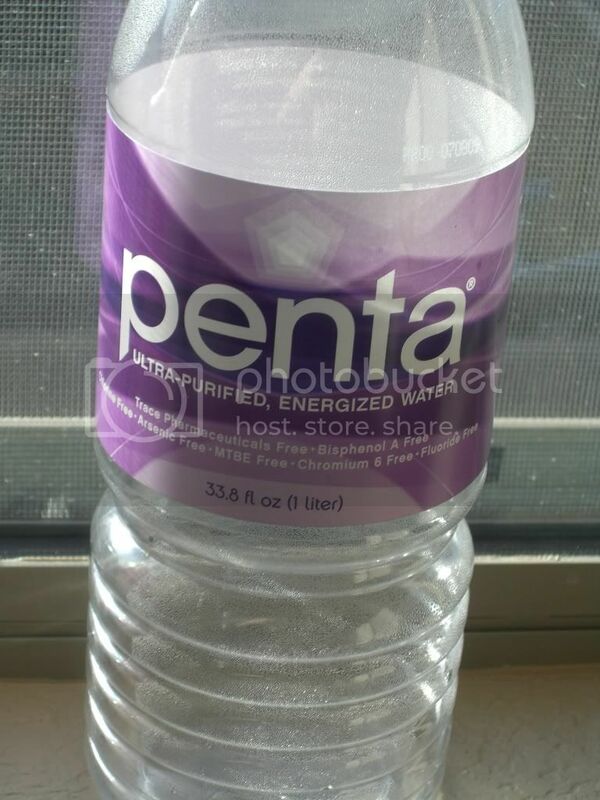 so I think that the dryness shouldn't be a huge problem. You might be better off using a humidity try rather than misting. A sleeve on the pot probably won't do a whole lot (that kind of stuff is an insulator so it would only work toward keeping something at its current temperature. Since plants are not warm blooded, it probably won't help much. If you're that worried you could look into getting a pot warmer. It looks like Arizona is just short of it's hardiness zone (10), but as long as you don't let the temperature drop to below 60 you would probably be ok. Please ID my bonsai so I can care for it! What should I do , new in bonsai care.